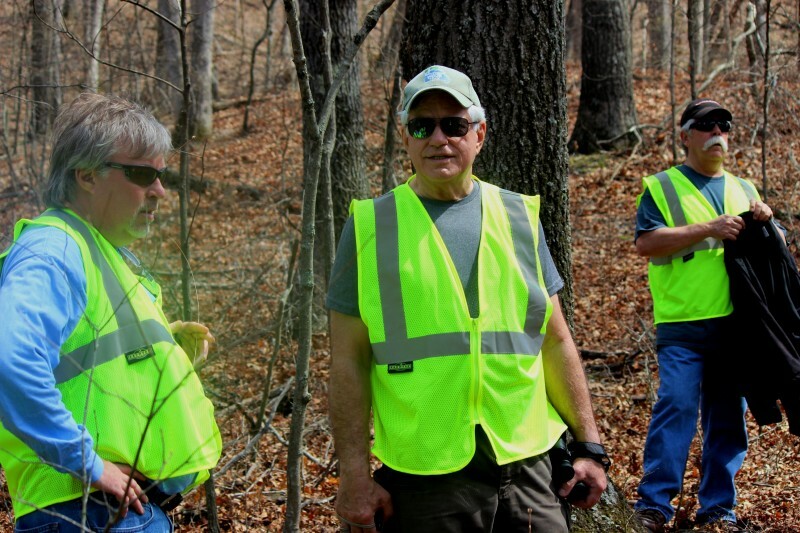 Danelle spends a lot of time volunteering with the Missouri Stream Team. She started with them in college doing water quality monitoring. Now she helps with a variety of things, including planning and attending river clean-ups, doing water monitoring with River des Peres Watershed Coalition during Bike With Your Boots On, and being on the board of Stream Teams United. She recently became one of the first START mentors – a group of trained monitors who help newly trained monitors gain confidence and experience. 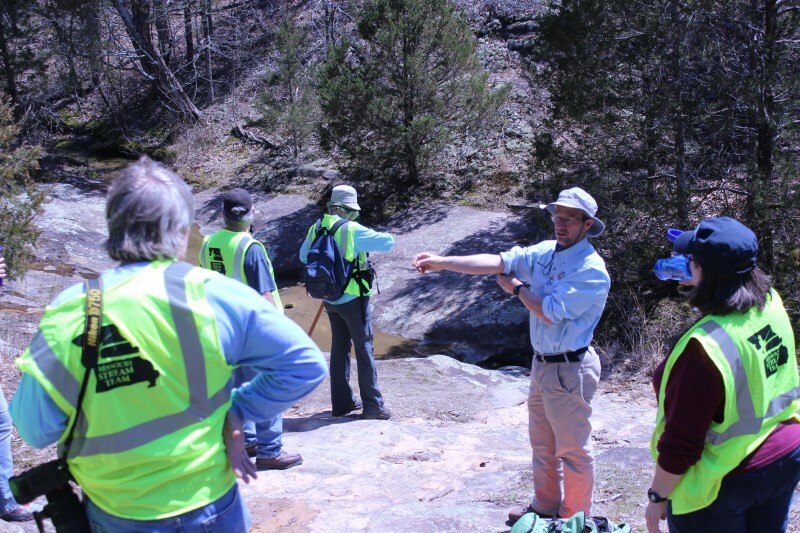 As a ‘thank you’ for signing up, the Stream Team organized a special guided hike of the LaBarque Creek Conservation Area with Mike Leahy, Natural Areas Coordinator with MDC. 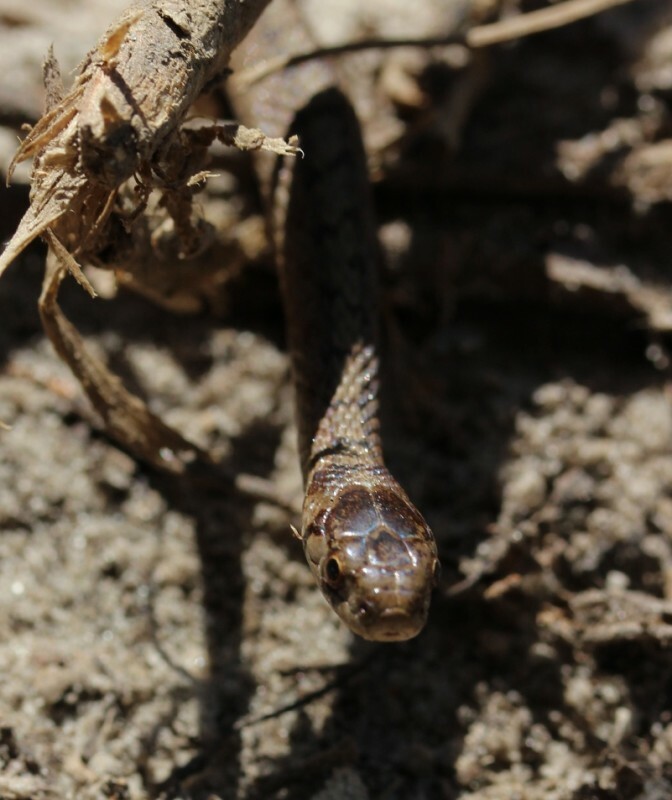 A tiny snake met us as we started up the path into the conservation area. While it looks big in the photo, its head was less than a half inch wide. 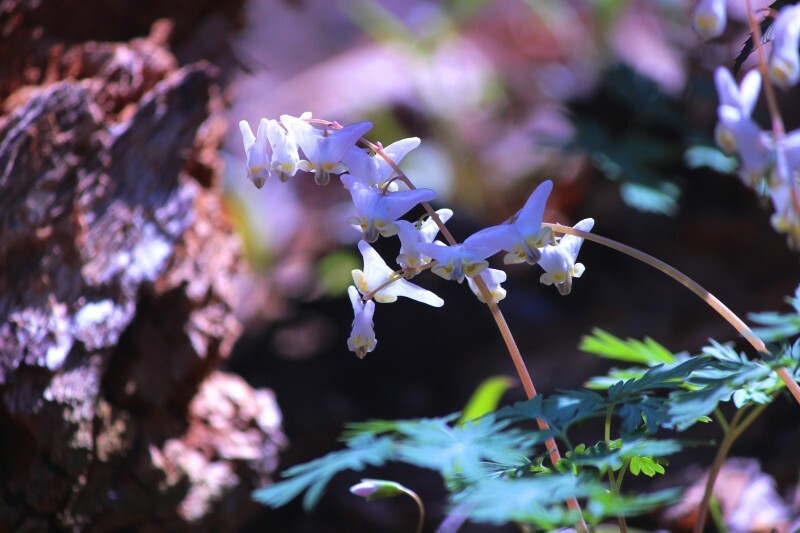 Spring flowers were just coming out, including these Dutchmen’s breeches. Mike described the unique sandstone geology of the area and how that made it different from most other nearby streams which are in limestone geology. 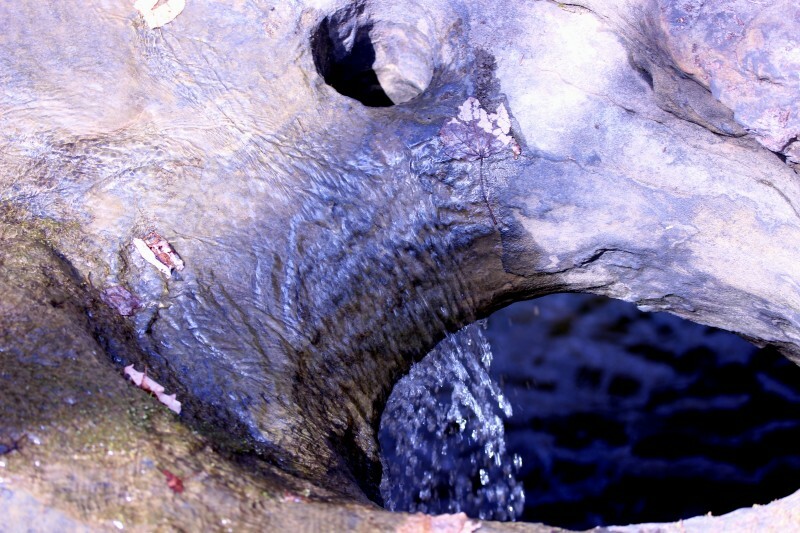 There are many interesting rock formations in the conservation area, including places like this where the stream flows through a hole in a large rock down into a cavernous grotto. Our new mentor team enjoyed wearing the bright yellow vests to keep track of each other. 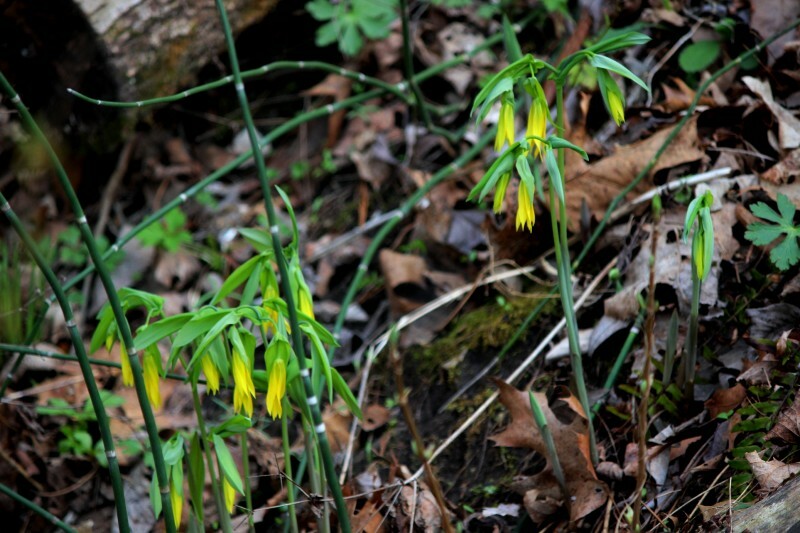 More new spring flowers, this time rue anemone (above) and yellow bellwort (below). Karen took the opportunity at a brief rest stop to tell us a bit about her knowledge of the region. Spring wildflowers weren’t the only new growth. These fiddle-heads would soon become fern fronds. 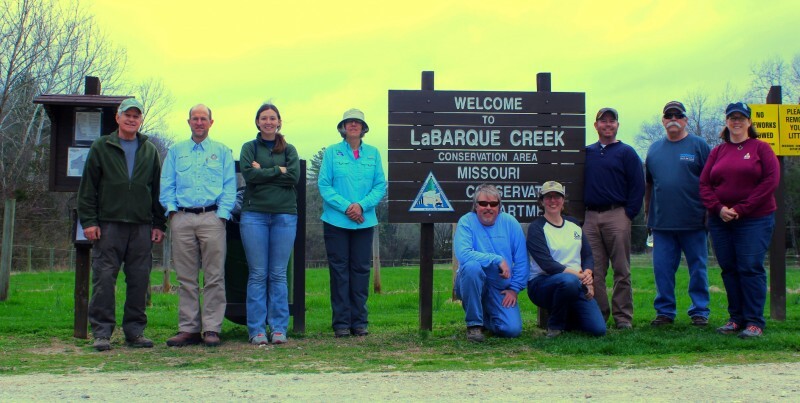 We all enjoyed the opportunity to have an inside look at one of the newest and most unique conservation areas in the St. Louis region. This entry was posted in Ecology and tagged Stream Team. Bookmark the permalink.